2018 Dr. Paul Janssen Award Winner; Dr. James Allison! Johnson & Johnson has named James Allison, Ph.D., of University of Texas MD Anderson Cancer Center, winner of the 2018 Dr. Paul Janssen Award for Biomedical Research. Dr. Allison won for pioneering a novel and effective strategy to harness the immune system for treating solid tumor cancers. His research over the past four decades has led to breakthrough therapies that are providing hope for patients around the world, and represents a shining example of how fundamental studies of biological processes open the way to the development of transformative therapeutics. Immunotherapy is treatment that uses a person’s immune system to fight diseases. In the last several decades, it has become an important tool in treating some types of cancer. 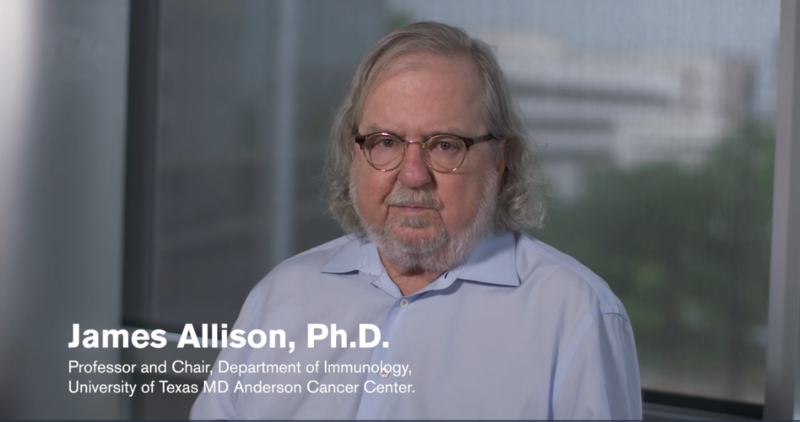 Dr. Allison is the Chair of the Department of Immunology, the Vivian L. Smith Distinguished Chair in Immunology, Director of the Parker Institute for Cancer Research, and the Executive Director of the Immunotherapy Platform at MD Anderson Cancer Center. He has spent a distinguished career studying the regulation of T cell responses and developing strategies for cancer immunotherapy. His present work seeks to improve immune checkpoint blockade therapies currently used by clinicians and identify new targets to unleash the immune system in order to eradicate cancer. Of yeast and men. How to survive starvation and infectious disease.